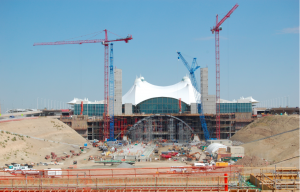 Denver International Airport’s (DIA) $500M South Terminal Redevelopment Program marks the continuation of the original vision for DIA. 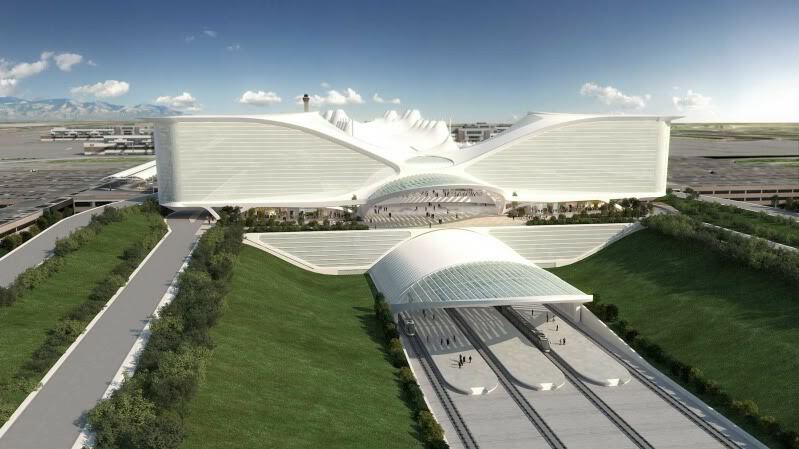 The Program will create an on-site hotel and Public Transit Center that will accommodate a rail line connecting DIA with downtown’s Denver Union Station. The design will both strengthen DIA’s connection to the city’s urban core and turn the airport into one of Denver’s premier travel destinations. Triunity Engineering & Management, Inc., (TEM) developed the electrical distribution design for the South Terminal Redevelopment Program, which is made up of several independent, yet physically integrated projects. It includes the construction of a 500-room Westin hotel and conference center, an RTD FasTracks commuter rail station, and improvements to the existing concourse baggage and train systems. The program also features an open-air plaza, complete with new concessions and leasable space that connects the development to the existing Jeppesen Terminal. The South Terminal Electrical Distribution project required the removal of two (12470:480V) transformers that served loads in the train tunnel at the southern end of the existing airport terminal. The TEM performed inspections and load analyses of nearby switchboards fed from separate transformers and high-voltage lines in order to provide two new feeders to the existing switchboard in order to maintain the reliability level required.